This committee is responsible for implementing and managing a number of programs that are integral to the SNHSA organization. Please be aware that in addition to the general eligibility requirements and rules stated below, all programs follow SNHSA’s rules and bylaws. SNHSA is an Affiliate Associate of USHJA. Through this membership, SNHSA is supported with quality educational and competitive programs aimed at developing cohesion among the various tiers of the hunter/jumper industry for the benefit of our sport. SNHSA promotes “Excellence in Equitation” by recognizing the accomplishment of riders competing at SNHSA sanctioned competitions. 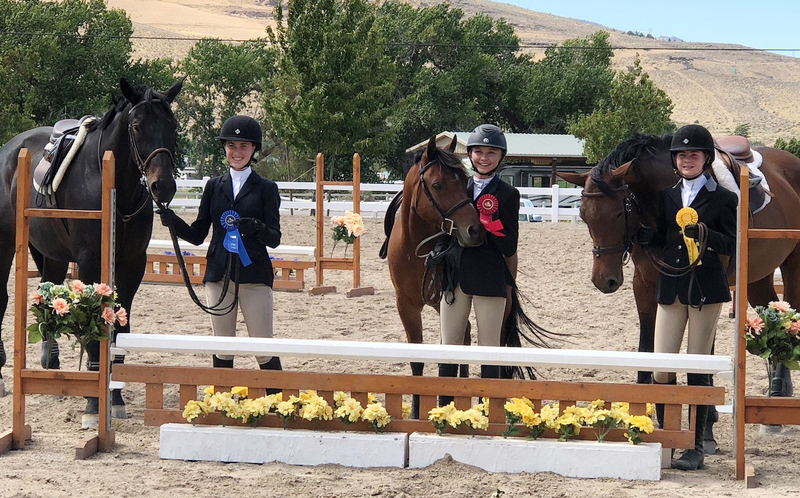 Awards will be given to the top ten junior and amateur riders based on their cumulative competition-year points earned in SNSHA-sanctioned equitation divisions. In order for competition-year points to count for this award, junior and amateur riders must be a member of SNHSA and USHJA in good standing. Membership forms must be turned into the competition office prior to the end of the event for points to count. Junior and amateur riders must be present at the Year-End Awards event in order to receive their awards. 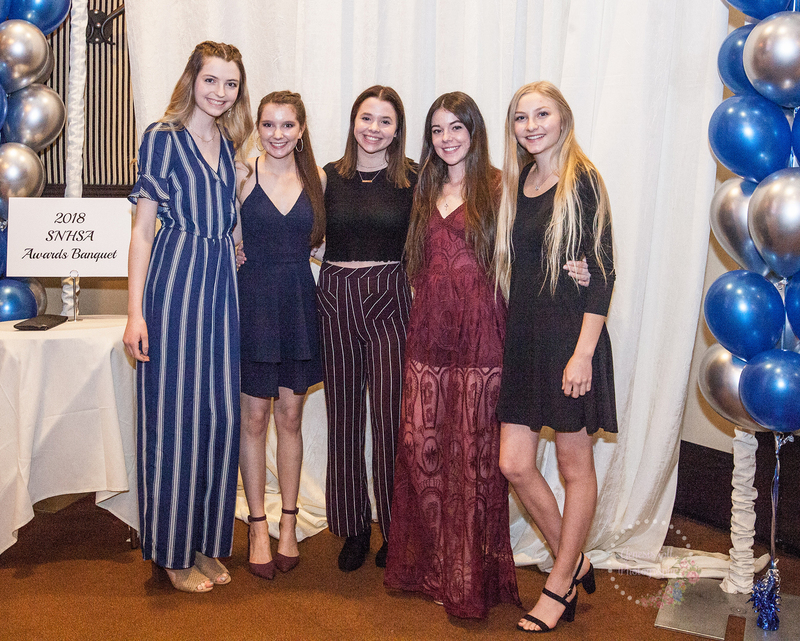 Junior Ambassadors: McKenna Owen, Julianna Osmetti, Grace Gerberry, Victoria Hardy and Emily Rye. The Member Education and Opportunities Committee and the Junior Ambassadors Program support the Vision, Mission, Sportsman’s Charter and Core Values of Sierra Nevada Horse Show Association, as adopted from United States Equestrian. Amateurs, Amateur/Owners, Juniors and Advocate members are an integral part of this committee and its associated programs. Our goal is to educate the equestrian community and support grassroots efforts to elevate our support for generations to come. This program is a grassroots effort to honor the United States Hunter Jumper Association and United States Equestrian and carry their missions forward. Open to Junior members in good standing. Riders must submit an application to the committee chair prior to May 1, 2019. (see form below) The application will allow the hosts of this program more information as to the knowledge and desires of each applicant. Junior riders will be selected for entrance into the program annually. 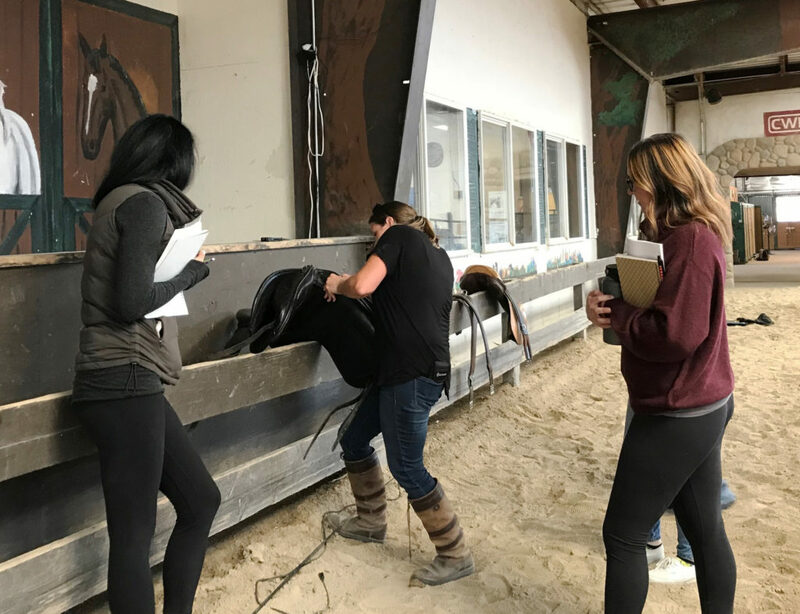 Upon completion of the program, riders will receive sponsored audit sessions to the Bernie Traurig Clinic on Dec. 7-8, 2019 with five selected for sponsored rides in the clinic based on their performance in the program. 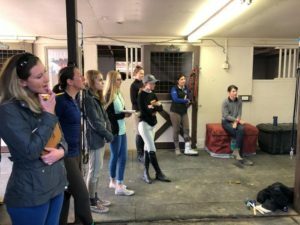 Consideration will be given to their attendance, scores on the horsemanship exam, work ethic, timeliness, attitude, behaviors, willingness to participate, as well as their trainer or parent’s recommendations based on their exposure outside of this program. A current junior member of SNHSA in good standing. Riders that are accepted into the program will complete three phases. Rider must demonstrate a personal responsibility to continue growing in their knowledge of horse welfare and the sport itself as evidenced by attending at least three (3) of four (4) educational workshops at Maplewood Stables under the tutelage of Julie Winkel, CEO, nationally renowned rider, trainer, judge, clinician, educator and author. Workshops will cover Judging, Course Design and Strategy, Conformation and Mental Preparedness. Rider must participate in a community project as a team with the Junior Ambassadors class. The project will be led by the Chair of Member Education and the Member Education Committee. An example of one of the organizations that our team is looking to partner with is the Center for Adaptive Riding, a local program that supports equine activities for people with disabilities. 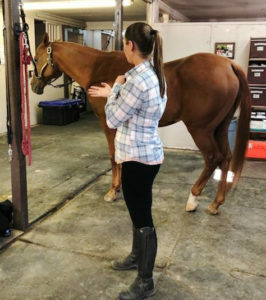 Rider must complete and successfully pass (70%) a horsemanship exam that will be issued by the Member Education Committee at the completion of each workshop. All graduates will receive recognition at the Awards Banquet and the class will collectively present their community project to the Awards Banquet attendees. Contact the Committee Chair: Ashlin Bowen (775) 846-5715. This program is a grassroots effort to honor the United States Equestrian Core Values and carry its mission forward. It is designed for those Junior riders who would like exposure to the collegiate level format within the Intercollegiate Horse Show Association. It is only open to Junior riders in good standing and only those who are enrolled in high school. Riders must submit an essay application to the committee chair prior to the first SNHSA-sanctioned event that they compete in that show season. The essay should be no more than 500 words and should be written on what the Core Values of the sport mean to them. Essays might be selected for publication in the SNHSA news. Respect: to honor and celebrate the love of horses and equestrian sport’s traditions which unite SNHSA members of all breeds and disciplines. Integrity: adherence to ethical principles that support the policies and procedures of the sport’s governance. Dedication: a commitment to formulating and implementing rules that ensure realistic and fair competitions at all levels. Enterprise: to provide the enthusiasm and creativity to grow and advance equestrian sport and the determination and teamwork to face any challenges the future may hold. Rider will be eligible to participate in the “Collegiate Prep Classes” offered at SNHSA sanctioned shows throughout the year. These classes will be “catch ride” format and must have at least two entries in order to proceed. Riders will enter his/her horse and each will draw for their new mounts. A horse bio must be completed at the show. There will be two options offered (flat or 2’ over fences) and each will be judged separately. Rider must maintain at least a 2.0 GPA throughout the current school year. Rider must complete and successfully pass (70%) a horsemanship exam that will be issued by the board. All graduates will receive recognition at the Awards Banquet and special All-Academic Awards will be given to those riders successfully completed this program, maintaining a GPA of 3.5 or higher (on a 4-point scale) and are nominated by their coach or other representative within the equestrian community or school district. Nominations and grades must be submitted at the end of the school year.